IP-based solutions are increasingly seen as the go to technology for new facility construction. Even so, the use of IP for media is neither simple or universal in terms of application. There currently are multiple flavors of IP and not all media tasks may be sufficiently solved by today’s IP products. Engineers need to understand the benefits offered by IP technology and where to leverage the benefits the platform may offer. Here are two articles that provide thought leadership on using IP inside media facilities. Audio is becoming an IP-centric technology that offers many benefits. Image: Rob Wolifson, TCN audio supervisor at Nine Network in Sydney. The impact of IP on the design of broadcast equipment and infrastructures is profound. Many broadcasters are replacing existing analog, AES3, MADI and SDI ports with a new class of interface for connecting to standard IT switch infrastructure, together with new control mechanisms for connection management and device discovery. In the process, they are embracing an emerging set of open standards for interoperable, vendor-neutral signal transport. 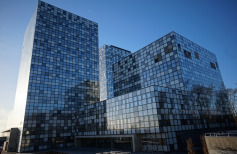 Dubbed “RTL City,” the new broadcast center features IP-based production and distribution facilities that make it truly flexible. In a time of uncertainty among many parts of the broadcast industry, Broadcasting Center Europe (BCE), part of the RTL Group, a Luxembourg-based media conglomerate has recently completed the construction of a leading-edge broadcast center. The facility is one of the most impressive broadcast centers to come along in more than a decade. RTL officials make no excuses for the forward-looking content handling concepts it has put into place at its new headquarters and looks forward to serving a myriad of innovative production and distribution applications for many years to come.